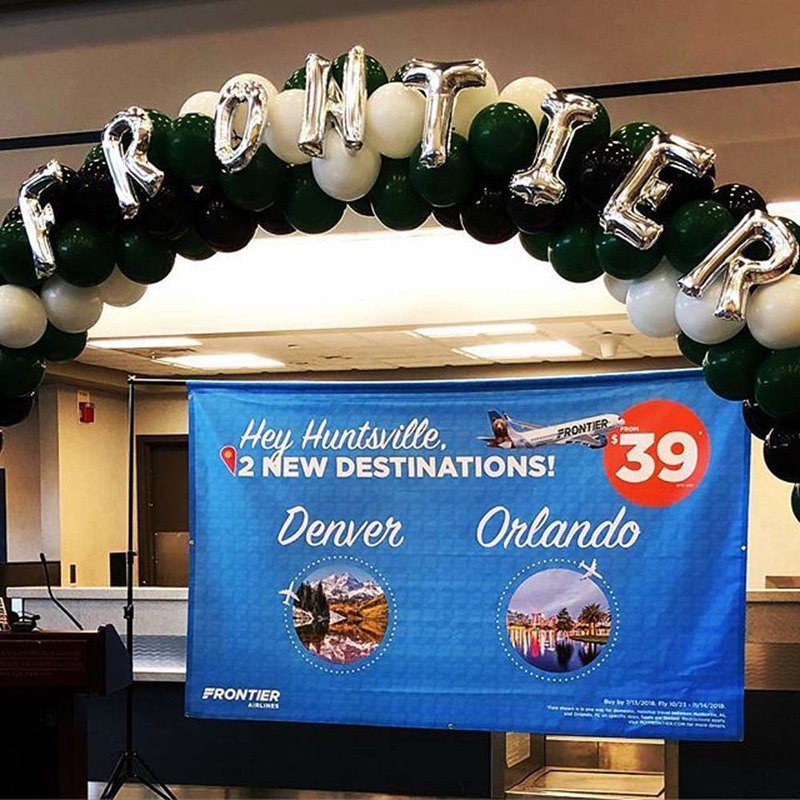 "We are proud to bring our Low Fares Done Right to the Rocket City," said Stephen Shaw of Frontier Airlines. 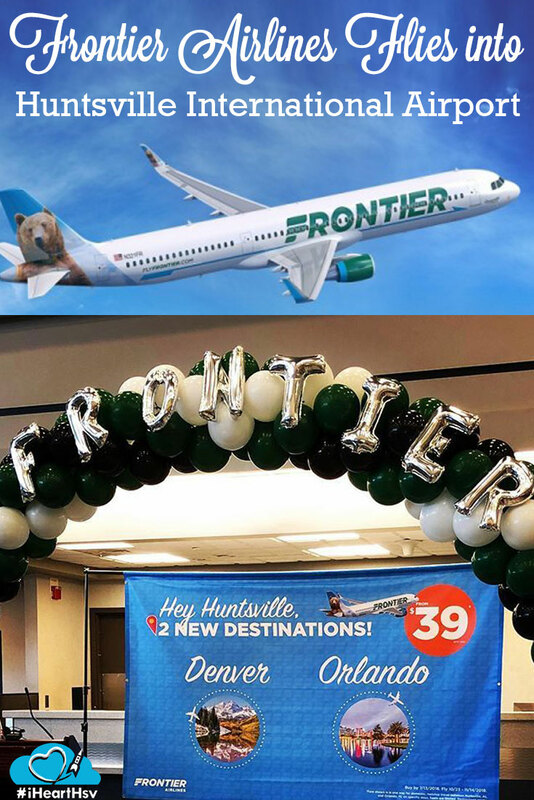 "Frontier&apos;s new flight will make air travel more accessible and affordable for everyone. 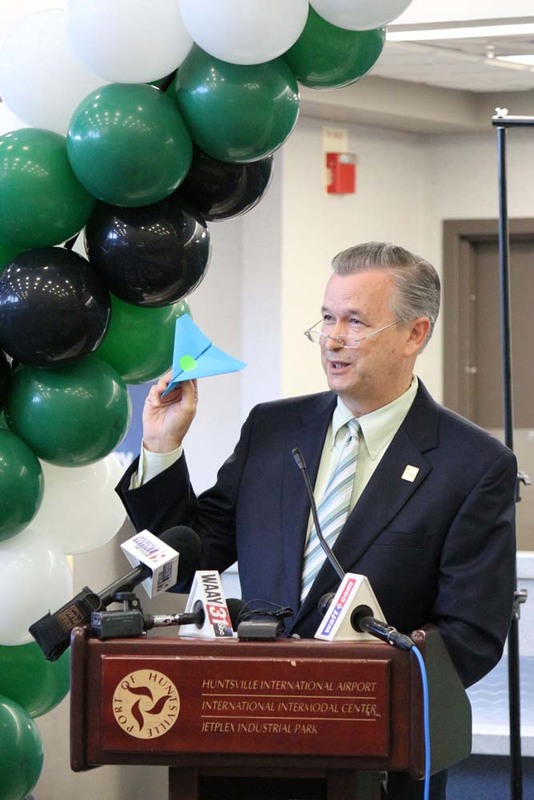 We look forward to making it easier for people to fly, and for people to fly more often." 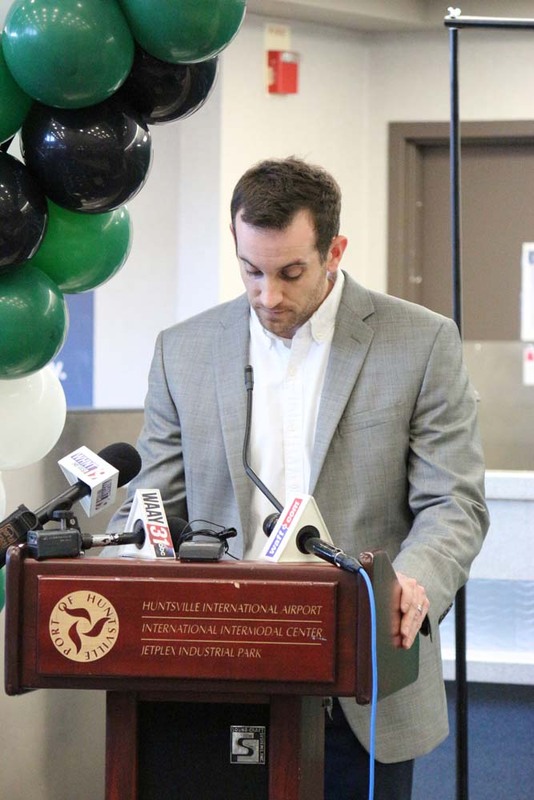 Chairman of the Huntsville International Airport Board, Betty Fletcher said,"We can be certain that our community will respond well to and support Frontier Airlines." Huntsville Mayor Tommy Battle and Madison County Comissioner Dale Strong also gave short statements about the exciting travel news.